Call me delusional ( and I am…often). I have this dream of my Tasmanian devil puppy settling into my rhythm. My rhythm includes large amounts of quiet reading, long walks, and time on my back porch. Being outside this morning is amazing. It’s cooler today. There is dramatically less humidity for Georgia than we normally experience this time of year. Everything appears clean, green, and alive. Bravely, my little furry girl is joining me in my quiet morning back porch ritual. The bravery is on my part., believe me. Honestly, I have great hopes she will grow to love our time on the back porch together as much as I do. This morning, I have feasted on Scripture – Acts 20:24, and I am asking myself if my life is telling the story of God’s grace. Back porch, Bible study, bugs and begonias. I have not posted in roughly six weeks… My heart has wandered. I couldn’t write and have not. I dreaded bleeding out at my laptop. I knew bone deep, my next post must mark an ending and the gaping hole that remains. 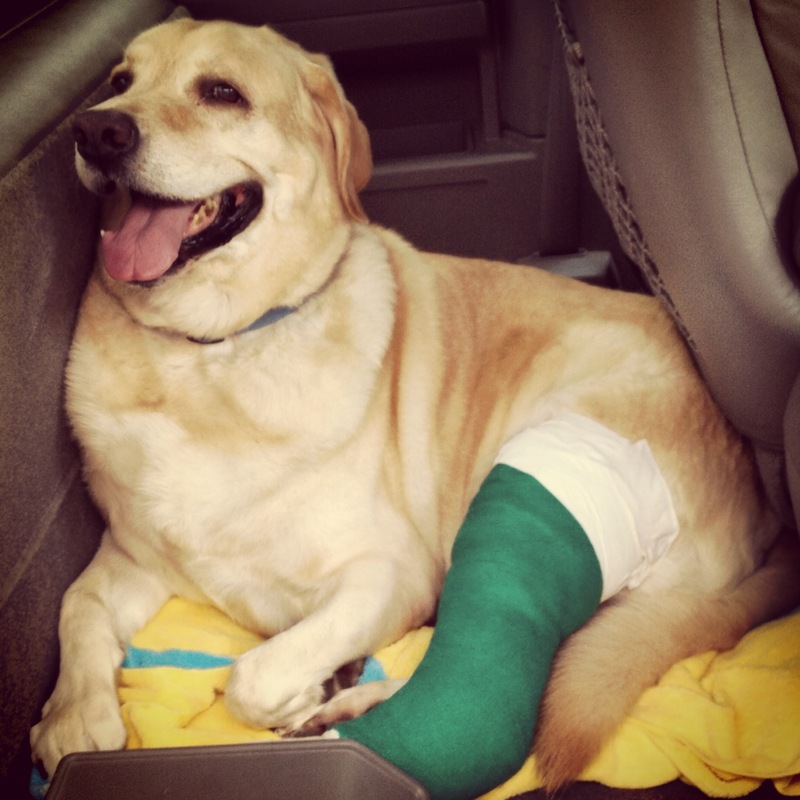 Our sweet yellow labrador retriever died. I have been heart sick. Many non-pet -loving people may not and possibly cannot fully understand this loss. Yes, he was an animal. But …he was so much more…And I loved him fiercely. Looking back now, little signs of his declining health crept up, but I refused to see. And then thirty-six hours marked the beginning of his end. Shattered… my heart and my daily life were ripped. Weeks of routine … crushed under the constant memories of him. Family portraits, his blankets, his toys, and his hair, everywhere I turned, he was there. This precious yellow lab was my constant companion, my child to care for in my empty nest, and my faithful friend. My writing partner and my study buddy, he never offered harsh critique. The first week after his passing, I think I cried every time I thought of him or talked about him. My dear friends, co-workers, family members, and students overwhelmed me with their compassion, little gifts, and love notes. I felt their prayers and wore them like an old favorite sweater. Their comfort and peace held me in a safe place. After much prayer, Bear and I decided that it would be a good thing,.. to find a puppy to care for. AND…. 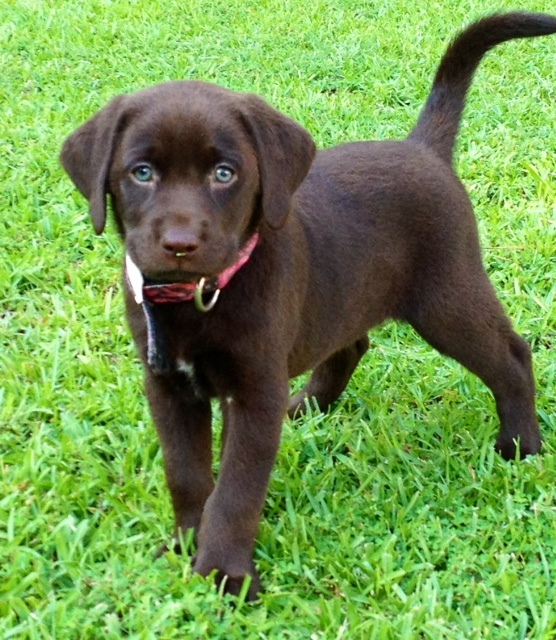 In a way that only God can do, He used friends to lead us to a sweet family who had a litter of chocolate lab puppies. 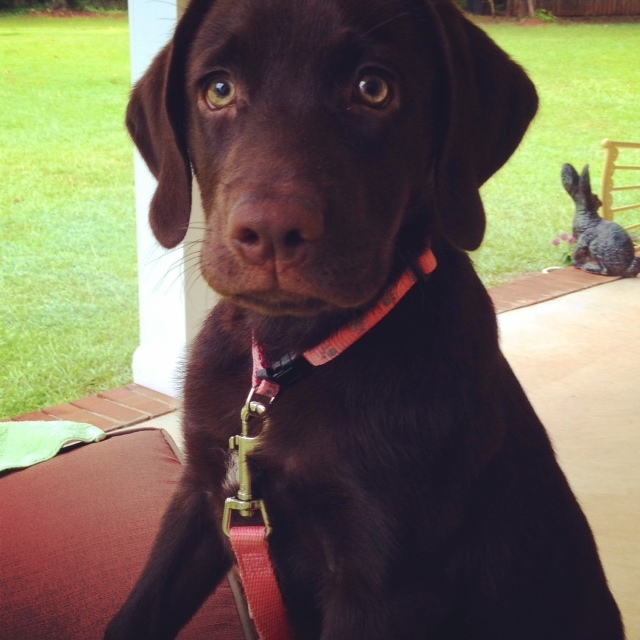 There we met our new girl…our little diva…Hershey. Merciful heavens, she is sweet, and mischievous. Gnawing, pouncing, sleeping, barking, whimpering, eating obscure yard stuff, and an absence of house trained body control make her absolutely marvelous in all her puppy ways! As we settle into new routines and discovering her puppy personality, reminders of Bo fill our rooms and our hearts. He is an unchangeable fixture in our family’s history. BUT…Hershey moved into a little corner, and she is making it her own. Her eyes melt hearts…Her sharp teeth rip flesh…It’s an odd combination. Having her makes it necessary to move on. I find peace in the knowledge that I do not have to let Bo go… as much as I have had to let Hershey in…to my heart, my home, and my life. Stay tuned for our adventures with our Hershey Kiss as she adds a little bit of sweetness and a great deal of mischief to this Philippian 4:8 Girl’s life….